After launching the new single on BBC Radio 1, the band prides released the lyric video for new song "Higher Love". "The letter talks about dealing with self-doubt, live under the expectations of others and how being in love can encourage to face these things," said the singer Stewart Brock to the site Heat World. "It comes from that specific person that makes everything seem trivial. Of course, it is also a nod to 'Higher Love' of Steve Winwood, one of the greatest love songs of all time and that means a lot to me. " 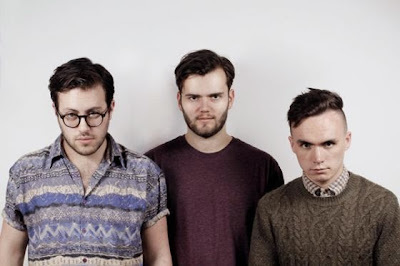 For those who have not heard, the Prides is a synthpop trio of Brock Stewart (piano and vocals), Callum Wiseman (guitar, piano, vocals) and Lewis Gardiner (drums), and appeared in the Scottish city of Glasgow in 2013 . They have released three EPs, including "The Seeds You Sow" containing the "range Messiah". "Higher Love" will be officially launched on 23 March and the debut album is scheduled for the end of the year.